Canoe Ridge Creations: Giveaway Day! It's giveaway day! It's giveaway day! all you Sew, Mama, Sew! 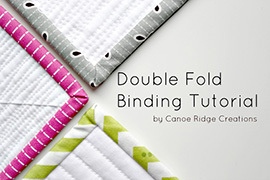 quilting and sewing peeps! fabrics, sewing, and quilting, you never know what you might find. So, what is up for grabs? 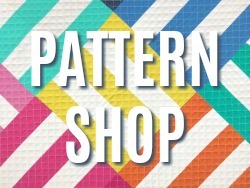 How about a new pattern? Denyse Schmidt's Single Girl pattern. your favorite fabric, your most recent finish--anything will do. of Canoe Ridge Creations (new and old). That's two chances to win! please leave an e-mail address in your comment as well. The giveaway is open until Wednesday, May 25th at 11:59 pm CST. and announced Thursday, May 26th. RIght now my favorite fabric is Prince Charming from Tula Pink. I slowly collected some fat quarters for the central park line. Im excited to combine it with some kona solids and make something for my daughter. :) I love the single girl, i wanted to join in the group, but never got the pattern. Thanks for the giveaway! I'd love a Single Girl pattern! Beautiful quilt! I bought some Happy Dots on saturday and they made me happy at only $6 a yard! I am a dutiful follower! Oh, I want it! I've seen this quilt on so many blogs I would just love to make one myself. Don't know what fabric I'd make it with..my fave fabric at the moment is Central Park but I think I'd have to put together my own selection for this one. And I've been a follower for ages...I just love your Monday linky, its one of my absolute faves! ooooo I love this giveaway. I have been "eyeballin'" this pattern for quite some time. Thanks for the giveaway. Ooohh.. i've been wanting this pattern and lookin for and excuse to get it! I would love to try this pattern. Thanks for a chance to win! 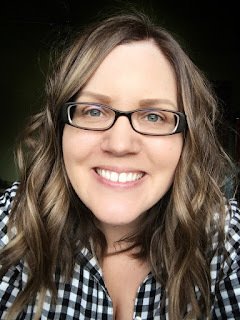 I'm a follower and have your blog on my blogroll. I'm a follower! I love your modern patchwork and the bright colors! 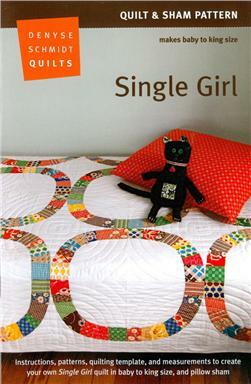 I'd love to try the Single girl quilt. Thanks for offering! I am still trying to piece and finish my first quilt ever! and I started in early January, lol! ... and I'm a follower too! Ooooo yes pwease! I've seen this quilt everywhere and I'm just dying to give it a go! I am also a loyal follower! I read every post!! I was at a guild meeting last week and a girl pulled out her Single Girl quarters. She was going for a queen sized version. OMG I love this pattern! What I have been doing lately is making my fingers hurt while trying to learn to quilt by hand! I'd love to try this quilt pattern! I just finished a mug rug for the Scrappy Mug Rug Swap and I'm now working on a bag for the I heart the 80's swap! I'm a new follower! Happy to be here! My one year old German Shepherd dog is currently whining at her older 3 year old German Shepherd dog to give her their new ball. He is currently hiding under my desk while she runs back and forth whining. Now that is something! Ooh, goodie! Something funny? The movie Bridesmaids. Saw it today and thought it was hilarious. Here's something funny, at least to me... I just found the "My Drunk Kitchen" videos on Youtube and that girl is hilarious. Check it out if you are ever that bored. I am a follower ^_^ thanks for the giveaway! My favorite fabric right now is anything French General. Thanks for the great giveaway! My most recent finish was the Sienna Dress for my daughter by Little Blue Boo patterns... it turned out great! 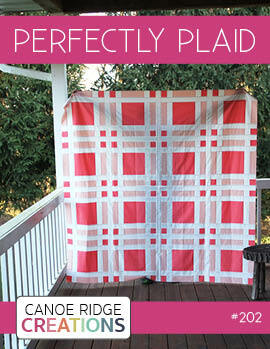 If I win this pattern, I will totally attempt to make this quilt (even though it scares me a bit)! I just finished a quilt out of vintage linens that I love! I think I may make your grocery bags for teacher gifts. 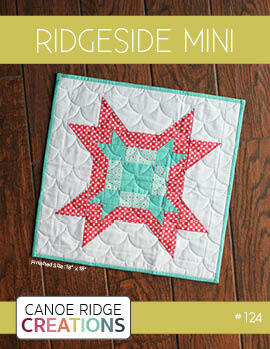 I have been seeing the single girl quilt all over blog land and have been itchin' to make one. YAY! PS There is a giveaway on my blog, too! I am a somewhat new follower of your blog. Within the last couple of months. Thanks for the chance to win! I am a new follower of you on fb. I just started following you. Liking your blog very much!!!! so, my friend told me about sew modern monday, so i was writing up a post to my most recent finish, and came here to get the link, and saw that you're not doing it this week! ha! so instead, that'll be my comment. i made an echino baby quilt. Ooh and I am also a new follower! My fave collection is Hope Valley b Denyse Schmidt. I love every bit of it. SO into my bottled rainbows quilt right now! I am also a regular follower! Right now I'm working on sewing my matryoshka dolls at my PeanutEnvy etsy shop. Trying to make some boy dolls too. I'm still in love with Nicey Jane by Heather Bailey. I love any fabric! I know that sounds stupid but I am a beginner and there are so many beautiful fabrics out there! So I guess you could say that I am a hoarder(a fabric hoarder) the type that gets fabric and doesn't want to use it because it's too pretty, cute, unique etc. Yarn is almost as addicting as fabric. :) Almost. I am getting close to finishing a quilt for my sister & brother-in-law. 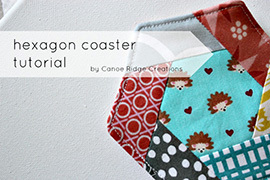 I love this pattern & would love to win, thanks for the giveaway! I don't know if I can be funny... it's been raining for 10 days straight! More time for crafting, though! I just finished my make-up bag for my trip to OK!!!! I've been eyeing this pattern for a while, would love to win it! I've just finished my first 'real' quilt, a Supernova! I'm a follower too! I love your Picnic and Fairgrounds quilt! 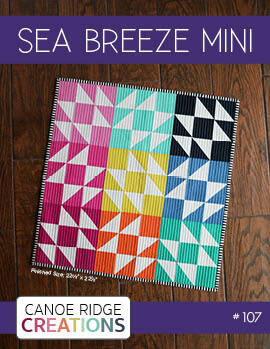 My new favortie project is hexagons - but I've been thinking the single girl would be a great quilt to sew for awhile. Thanks for the giveaway. always have wanted to make this! Oh I would love this pattern! I'm working on a double wedding ring quilt, so I'm in "curve mode"! I love crafty books. I like stuffed cats too. I've been intrigued by this pattern for sometime and would like to give it a go! Something funny... Over the weekend I was quilting a king size and somehow the needle went right through my nail/finger. Ok, not too funny, but I always read about that happening and thought it couldn't happen to me. Guess I need to rethink my safety! I am a happy follower for sometime now! Just made a nursery for our coming-soon baby in Ty Pennington's Impressions Chartreuse. I really love the Prince Charming from Tula Pink! Not a most recent finish, but a hope to start soon if I can figure out how: A memorial quilt using clothing with lots of knit fabric. Yikes! Thanks for the giveaway! My most recent finish was a zig zag quilt for my niece's graduation. I had it planned in my mind for.ever, but when it came right down to it I had to make it start to finish in one week!! I've never made a quilt so fast in my life (and probably never will again). It turned out awesome, but man was it stressful. I am a fairly new follower. Lovin' what I see so far. I'm still in love with Tula Pink's Parisville. It's hard to top that in my book, besides solid colors! That pattern looks great! Thanks for the giveaway! 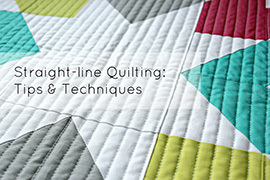 Oh man, I'd love to get more into quilting and this pattern is GORGEOUS. Oh, and I'm now a follower! I've been eyeing this pattern for a bit now. I've been wanting this pattern for a while...looks like such a fun quilt. Hi Megan, I love this pattern. It would give me an excuse to use my walking foot again! Fave fabric currently is Sew Cherry by Lori Holt. Dang, I almost forgot to come back, but then I remembered the pattern...heehee! Thanks for the great giveaway, I will for sure make this if I win! I'm a follower, and quite pleased about it! I really want to try this pattern out it is one of my favorites lately. Something funny - well, in my sleep deprived state I managed to wear two different shoes out the door this morning. my most recent finish is a baby girl quilted blanket. working on another one. thanks for the chance! Hey! This pattern is on my list of "wannamakes"! I would love it! Right now my favourite fabric line is Heather Ross. I'm collecting bits and pieces as I can find them for a reasonable price. oh, great giveaway! 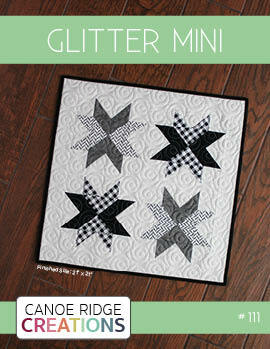 my most recent finish: i got three more quilt blocks for my canasta quilt sewn this weekend! Right now I have too many favorite fabrics and not enough time to quilt, but I've been wanting to make this quilt forever, so maybe this would help me make time! I also just started following you in google reader. I like your stuff! Hi! I have just started falling in love with Denyse Schmidt, thanks so much for a chance to win! Oh my heck, I would love to win this! My new favorite fabric line is Central Park...I think it would be great for this pattern. Perfect giveaway, my favorite fabric is Katie Jump Rope! I still love Neptune by Tula Pink :D Thanks for the giveaway! Something funny?!?! AHH, too much pressure!! I'm sure it's funnier if you're 5. Thanks for the giveaway! Hmm . . . latest finish was a Dr. Seuss quilt. Thanks! Great pattern. My latest finish was a quilt using Kumari Garden fabric, which is sooo lovely. Fun pattern! Love modern patterns! My son spent the afternoon drawing on the wall while I was sewing...eek. I think I'm one of the few folks that has yet to try this one. I have always been a clothes sewer and am just finishing up my first quilt now. I think I might be addicted. Oh, this pattern is seriously on my To Do List! So pretty! I am a new follower, although I have been reading you for awhile! My favorite color is lime green and I have always liked the singles girl quilts. I think I want to make one someday. lol. I'd love to try out this much-talked-about pattern. Something funny? Don't know - could use a good laugh. Favorite Fabric - Japanese Elephant Fabric. Recent finish - raincoat for my daughter that I still need to blog about. I love the pattern! There's just something about bright prints on white that make me so happy! Something funny? How about a favorite joke from my six year old? Q: What do you call a werewolf with no fur? Most recent finish was a quilt block using 100 2" squares. I'm calling it a finish even though it was only ONE block because it had 100 FREAKING SQUARES in it. WOW. Quilter's Grid is magical. I'd love to do more quilting. I only seems to make quilts for other people, never for our home. My most recent project is a duct tape dress form. I love it and it turned out perfectly my size. I don't have anything clever to say, I just have an obsession with fabric, and this pattern could help me use some of it! Great giveaway. The Single Girl pattern has been on my wishlist. My most recent finish is a red and black quilt for my stepdad, backed with University of Utah fabric (where he went, not where I went). I would love Single Girl to be my next quilt! Would enjoy trying this pattern. Thanks for the giveaway. Why did the baby rattlesnake cry? That quilt is amazing! I just started quilting, so everything beyond basic blocks looks difficult to me right now. I'm not giving up,though! I'm also a new follower. I am looking forward to checking out the tutorials. 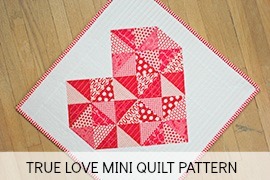 I'd love to try this quilt pattern! Thank you for the giveaway! I think this pattern is a classic! I love your blog - so colorful! I've been admiring this pattern all over blogland recently - it's gorgeous! Thanks! I missed the quilt along because I don't have this pattern. It just didn't fit in my extreamly limited budget right now. Winning it would be amazing because this is a must do on my quilting bucket list. I've been having Single Girl lust for awhile! Cute pattern! And now I'm following too! Thanks for the giveaway! I have 3 quilts that I need to finish the binding on. I am really drawn to quilts with a lot of white (like the photo on the pattern). Might have to try that sometime. Love this pattern! I am currently putting together a D.S. Drunk Love 2-tone quilt top right now. I love how her pattern's come together and have so much movement. My most recent finish was a faux chenelle blanket...lots of cutting!! Love this pattern! My most recent finished project is a twin sized quilt. I'm glad it's done. It took months to complete!